An essential tool for CEOs, the ANZ Business Growth Program is a unique initiative that helps small and medium companies unlock their growth potential by identifying new opportunities and tackling existing challenges. 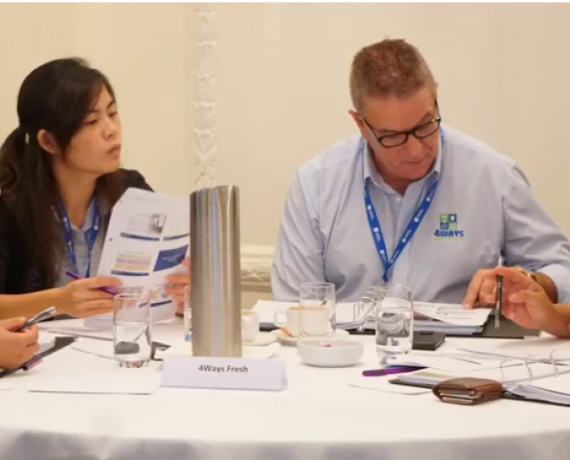 The ANZ Business Growth Program consists of three parts (available only to ANZ Business Customers): the Growth Seminar (for CEOs/MDs); the Assessment Clinic (for CEOs/MDs); and the Growth Modules (for CEOs/MDs plus 2 members of their executive team). The program provides CEOs/MDs and executives with the knowledge and skills they need to lead, manage and accelerate company growth. 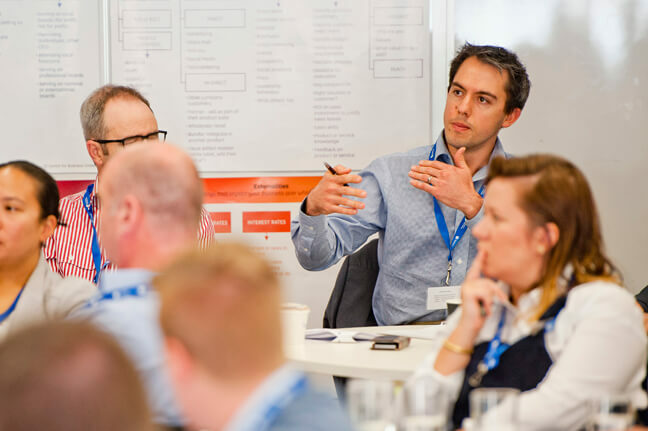 The ANZ Business Growth program is underpinned by our Knowledge Framework for Growth – our guiding framework that enables CEOs/MDs and executives to understand how their company works and the changes they need to make to grow their company. Our secret sauce is our integrated and comprehensive Knowledge Framework for Growth, which underpins the knowledge and skills CEOs/MDs and executives need to know to grow their company. Our Framework will help you understand what you need to do, when, and in what order to grow your company and enable you to develop a strategic framework for making decisions, formulating strategies and implementing organisational change. The framework consists of six parts, plus strategy – and all of these topics are covered throughout the ANZ Business Growth Program. What to sell and how to design it, develop and manufacture it. Who to sell to, at what price, using which channels. Tracking things that impact your business over which you have no control. How to build an organisation that represents your values but can operate without you. When to take on debt or equity, from whom, under what conditions. How to keep growing as a leader and person throughout your whole life. CEOs/MDs and Executives of small and medium companies. Learn the “5 Ways to Accelerate Growth”, based on our integrated Knowledge Framework for Growth. Dr Jana Matthews will discuss the roles and responsibilities of a leader during growth, how to choose the right growth strategy, questions you must be able to answer as a leader and more! Develop an action plan for growth, based on your key learnings and takeaways from the seminar. Use key tools and resources provided by the Australian Centre for Business Growth to determine what you need to do to grow your company. 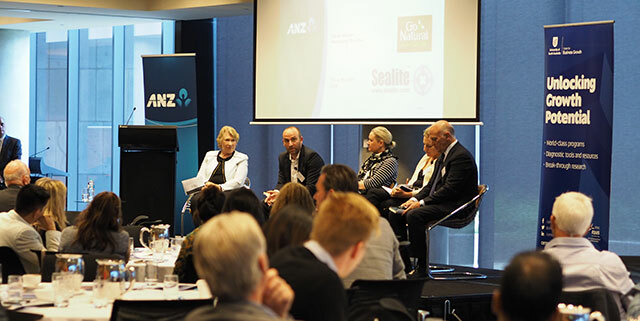 Discuss the challenges of growth with other CEOs at the Seminar, and hear a panel of ANZ Business Growth Program Alumni talk about their growth journey. Make connections with fellow attendees and learn from each other’s experiences through facilitated group discussions and action planning. How can I attend a Growth Seminar? Find out how you can attend a Growth Seminar below and view upcoming dates via the Program Schedule. 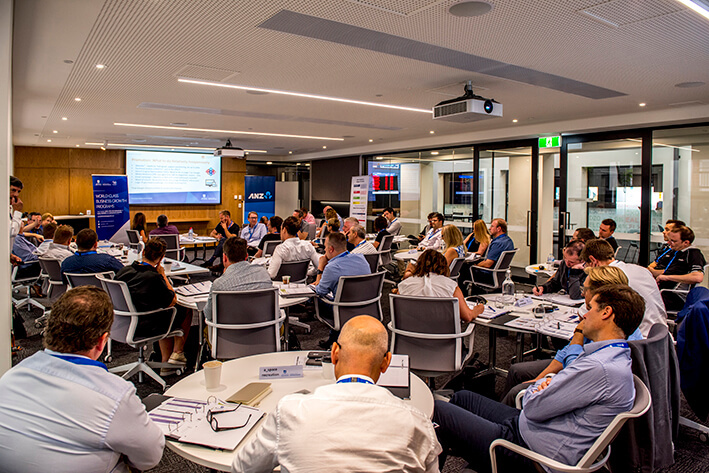 The ANZ Business Growth Seminars are currently only available to ANZ Business Customers. Please contact your ANZ Business Banking Manager if you would like to attend one in a city near you. You ANZ Business Banking Manager will be able to provide you with an online registration link for an upcoming Growth Seminar. Please ensure that you register for the seminar online. Attend the ANZ Business Growth Seminar and learn from world-renowned expert in entrepreneurial leadership and business growth, Dr Jana Matthews, on "Five Ways to Accelerate Growth" in your company. There are currently no upcoming dates for this program, but there will be some scheduled soon! In the meantime, please submit your application form and one of our Program Officers will contact you to find a suitable date for you to attend this program. 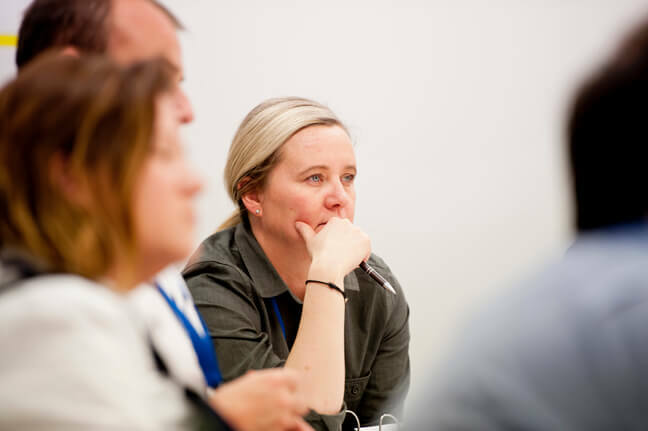 If you’re an ANZ Business Customer, please speak with your ANZ Business Banking Manager about proceeding into part #2 of the ANZ Business Growth Program: the Assessment Clinic. At the Assessment Clinic, you will have the opportunity to work with Growth Experts on identifying your company’s growth inhibitors and opportunities, develop action plans for growth, and work with other CEOs/MDs of growing companies. CEOs/MDs of ANZ Business Customer companies with $5M -$50M in revenue. Fully subsidised for ANZ Business Customers (normally $5,000 excl GST per company). *Non-ANZ Business Customers can refer to Our Programs for other program options. Based on our Knowledge Framework for Growth, learn from and work with Growth Experts (all of whom have started, grown and exited their own companies) to understand what happens during growth, how your role changes as CEO/MD, responsibilities as a leader, and what you can do to fast-track growth. Identify what is preventing growth in your company and what you can do to accelerate growth. Develop an Action Plan for company growth as well as Leadership Development Plan, and then receive feedback and advice on them from the Growth Experts. Connect with other like-minded CEOs/MDs of small and medium companies attending the Clinic; learn from each other’s experiences; and discuss your company’s inhibitors and opportunities. Then, discuss your results from the pre-Assessment Clinic diagnostic, your Action Plan for Growth and personal Leadership Development Plan with a Growth Expert during a one-hour call. Use our comprehensive Action Planner with growth content, tools and resources to understand your company’s strengths and weaknesses. Gain access to growth refresher content after the Assessment Clinic which is designed to keep you on track with your goals. 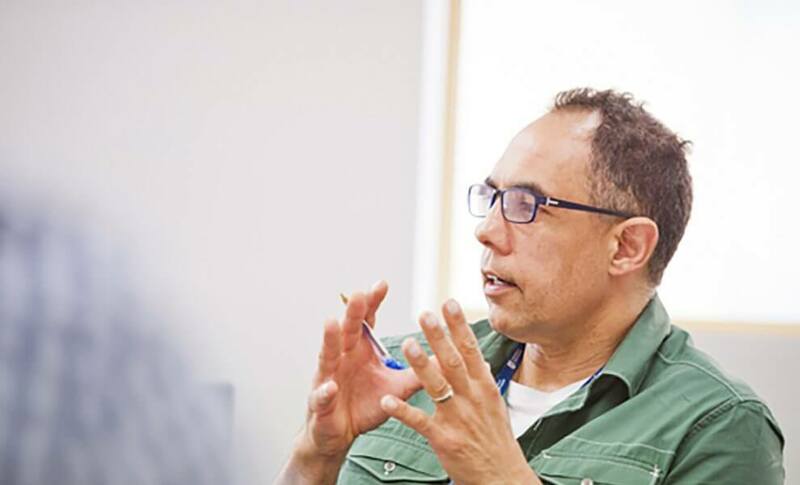 "The structure and nature of the program, and the quality of the experts and the participants, provide a great platform to think and re-think what you are doing in your business." CEOs/MDs will first attend a group presentation that is limited to 25 CEOs/MDs. Following this, each CEO/MD will have a one-hour call with a Growth Expert to discuss his or her company’s specific growth challenges and opportunities, as well as the Company Growth Action Plan and Leadership Development Plans they completed at the group presentation session. Learn more about how you can attend the Assessment Clinic below and view upcoming dates via the Program Schedule. ANZ Business Customers are nominated by their ANZ Business Banking Managers to attend the Assessment Clinic. A select group of companies are accepted into the Assessment Clinic. Companies are notified of the Assessment Clinic they have been enrolled into. Two weeks before the Assessment Clinic, CEOs/MDs are required to provide a prescribed set of information about their companies. This information is reviewed by our Growth Experts so they can provide tailored feedback and advice about their company during the one-hour call. You can read our Information Handling Policy here. The Assessment Clinic group presentation is delivered from 9am to 1pm. CEOs/MDs are expected to be present for the whole time, turn off email, and put their phone on silent, so they can focus on learning and their company’s growth. They are then required to have a one-hour call with a Growth Expert about their company’s specific growth challenges and opportunities. Following the Assessment Clinic, CEOs/MDs receive access to our fortnightly “Dr Jana Refresher” emails to help them stay on track, implement their goals, and grow. CEOs/MDs who are enrolled into an Assessment Clinic are expected to complete prep-work at least two weeks in advance of their Clinic date. They are expected to attend the scheduled group presentation (9am –1pm) and then participate in a one-hour call with a Growth Expert. Once a CEO/MD has completed the Assessment Clinic, he or she should speak with their ANZ Business Banking Manager about the opportunity to continue on to the Growth Modules, part 3 of the ANZ Business Growth Program. The Growth Modules are available to a select set of CEOs/MDs who attended the Assessment Clinic, as well as two executives from their team. CEOs/MDs may request to bring one or two additional executive team members to the Growth Modules, subject to program capacity and at a cost of $1500 per person. ANZ Business Customer companies with $5M – $50M in revenue. The CEO/MD plus two executives per company are required to participate in the Growth Modules. Fully subsidised for ANZ Business Customers (normally $36,000 excl GST per company). Three, three day modules, delivered over approximately nine months. Based on our Knowledge Framework for Growth, learn from and work with Growth Experts (all of whom have started, grown and exited their own companies) on what you can do to lead, manage and accelerate business growth. Dive deep into what it takes to build a strong organisation that can sustain growth, explore different financing options, choose appropriate marketing and sales strategies, understand how to develop innovative products or services, learn how to track externalities that impact your business, and how to manage yourself as a leader through all four stages of growth. The Growth Modules are for the CEO/MD who attended the Assessment Clinic plus at least two additional members of his or her Executive Team. Attend the program together, learn together, plan together and then execute growth plans together to keep your company aligned and moving up the growth curve. Participate in a dynamic and interactive learning environment, with up to 10 other small and medium companies. Listen to expert presentations, participate in peer-to-peer learning and group discussions, then develop growth Action Plans based on your learning. Finish off each module by working together with your Executive Team to align and set your company’s growth goals for the next few months, and then report to the Growth Experts and other program participants on what you are going to do to grow the company between now and the next module –outlining time-frames, resources, and who is responsible for each goal. You are then held accountable for your progress in between modules. Our program has a built-in accountability process to help you and your Executive Team stay on track in achieving your growth goals. Our Growth Experts hold you accountable for your progress between modules, provide feedback on your growth plans, and help you “de-risk” your growth strategies to support your company’s success. Use our comprehensive Learning Journal with growth content, tools and resources to record notes, create action plans and identify your company’s strengths and weaknesses. Gain access to growth refresher content including webinars, interactive tools, and fortnightly “Dr Jana Refresher” emails to help you stay on track with your growth goals. * four-year aggregate results from the first 9 companies who started the program in 2014/15. For Companies to participate in the Growth Modules, the CEO/MD must first attend an Assessment Clinic. Following this, they will then be eligible to attend the Growth Modules with at least two members of their executive team. To be eligible to participate in the Growth Modules, the CEO/MD must first attend the Assessment Clinic. A select group of 10 ANZ Business Customers are selected to participate in the Growth Modules. Companies are notified that they have been selected to participate in the Growth Modules, and are asked to accept the offer within 24 hours. Once accepted, one of our Program Officers contact the CEO/MD and nominated executives to discuss prep-work requirements and to confirm the dates they are enrolled to attend the Growth Modules. Prep-work for the Growth Modules needs to be completed by the CEO/MD and all members of the executive team who are attending the modules. Prep-work includes completing online diagnostics, tasks and surveys, required reading, and providing updates on your company's progress. You can read our Information Handling Policy here. The CEO/MD and two executives attend all three, three-day modules from 9am to 5pm. Attendees will be provided with a Learning Journal as well as other tools and resources to enable them to record notes and develop action plans for growth. CEOs/MDs and executives who have attended the Growth Modules receive access to our fortnightly “Dr Jana Refresher” emails, tools, resources and webinars to help them stay on track, implement their goals, and grow. CEOs/MDs and executives who are enrolled in the Growth Modules are expected to complete prep-work at least two weeks in advance of each module and to attend all three days of all three modules. Executives are expected to execute on the changes they have identified and are held accountable for their progress by the Centre, the Growth Experts, as well as their peers.